Want to slash the time you spend managing your multiple listings? Well then look no further than Automations! 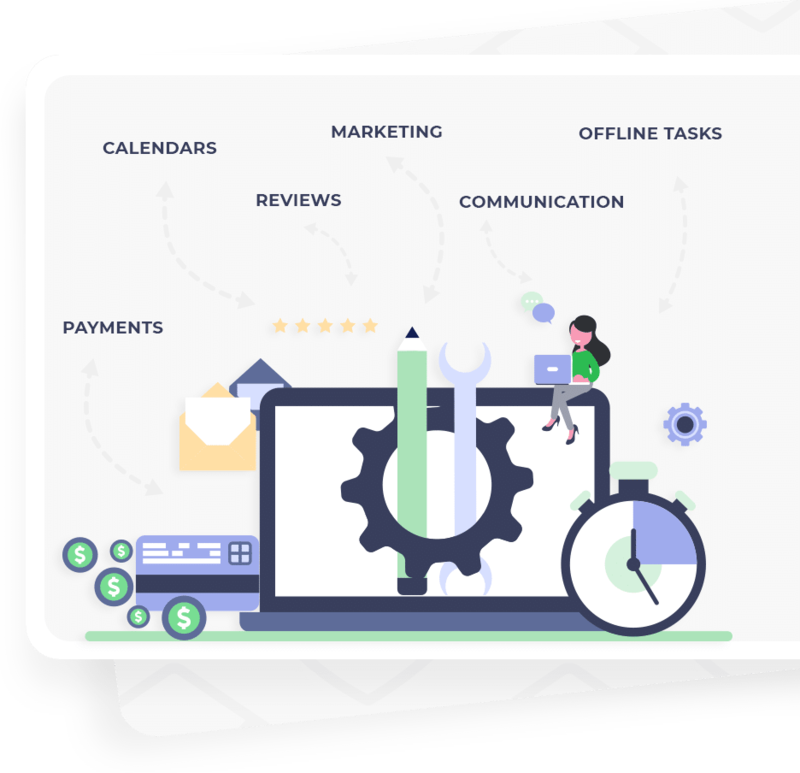 Grow your Airbnb and vacation rental business by automating repetitive operations. Free your time for what matters most, and scale your estate management business to new heights. Streamline your communication threads with guests, staff, and homeowners by using automated messages. Get your messages delivered by email, SMS, or the channel messenger, and see them all in one place. Timing is crucial. With Triggers, you have the freedom to chose when to trigger an automated message. 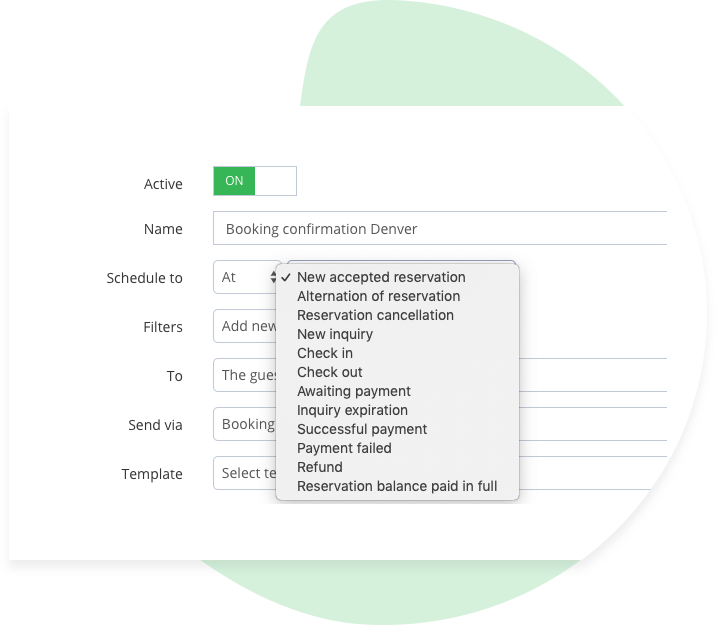 Send your guests a message when a reservation is confirmed, before check-out, or even a review reminder once they're gone. You can control it all. Send Automated messages to your guests, staff, homeowners, investors or yourself. Each Automated Message can be sent as a channel message, an SMS, or an email. The choice is yours. Our system supports dynamic variables - short codes for important system information including guest first name, check-in date, and listing address. You can use the same templates across different listings and the variables will do the rest. Talk about efficiency! Every Reservation will show you all of the scheduled Automated messages. At any point, you can edit or abort an Automation execution. Airbnb rewards hosts who reply to their guests in under an hour. 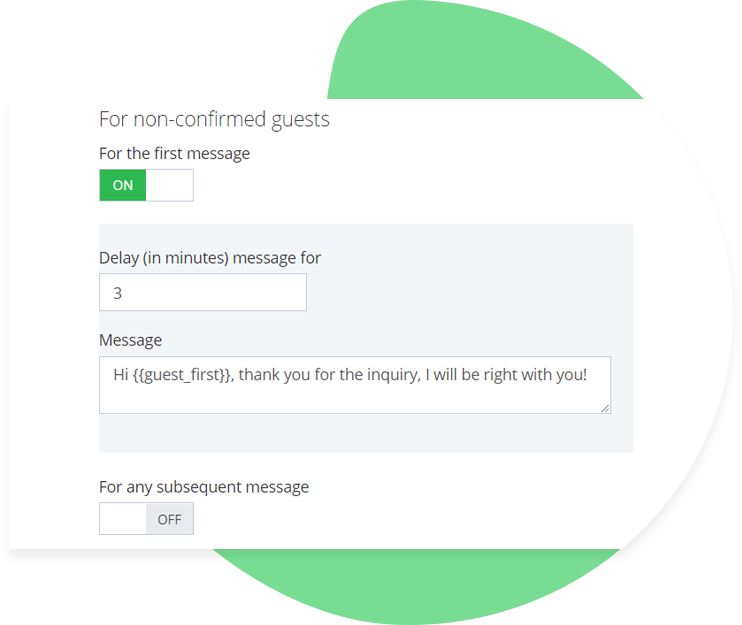 What if you could answer every guest message instantly, even while you sleep? Answering Machine is your dream come true! 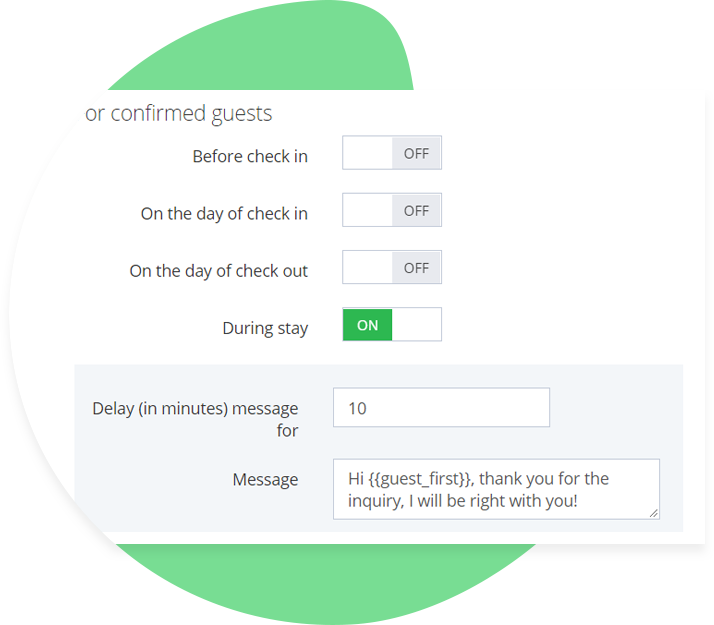 Send automated messages directly to your guests before, during, or after their stay. 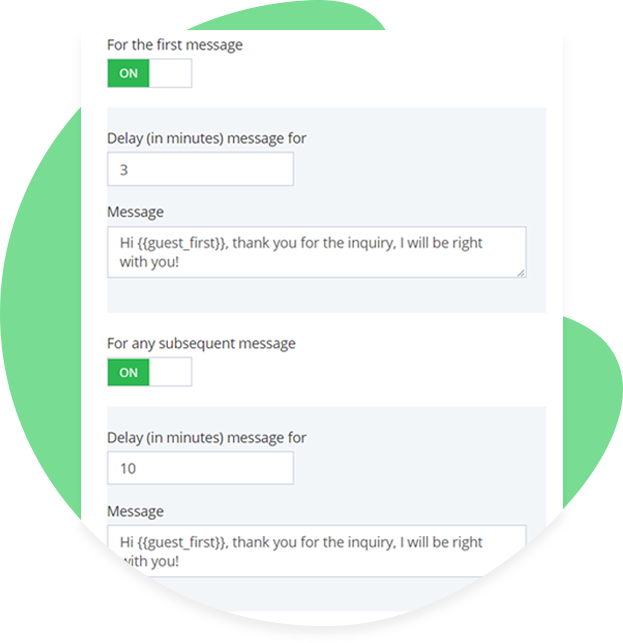 With customizable day, time, and delay functions, you can send automated messages whenever you like. Build an email database of past, current, and future guests and market and re-market activities, promotions, and new properties and locations. Email Grabber sends an automated message asking your guest for a personal email address. 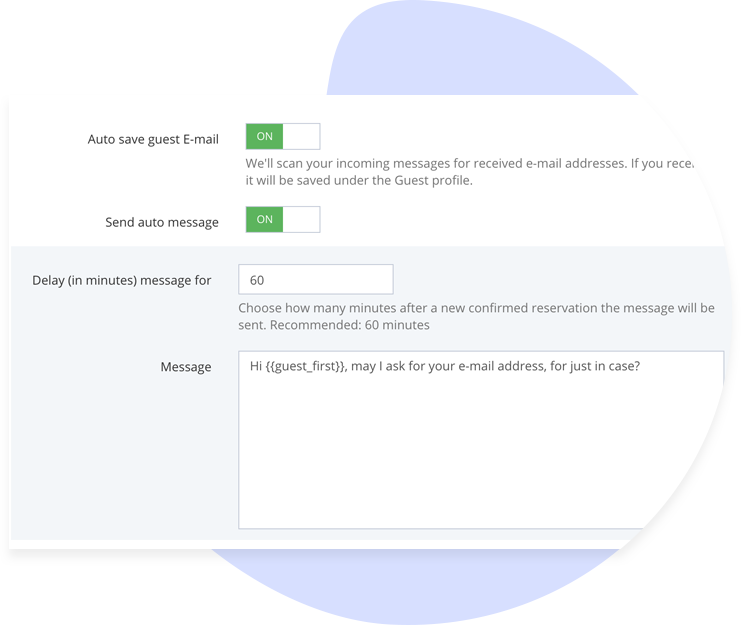 Once the guest replies with his actual email address, Email Grabber will automatically detect the email address and save it under the guest profile. 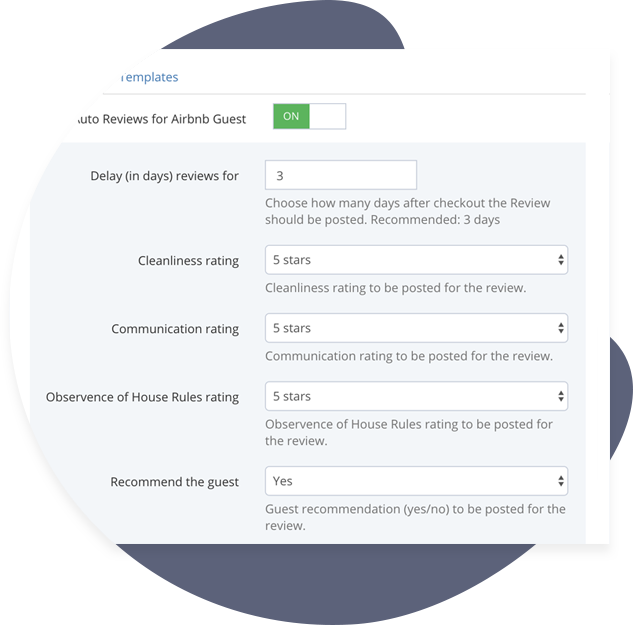 Use Auto Reviews to automatically leave personalized reviews for your guests. Save time and avoid the unnecessary hassle of writing repetitive content. Choose when you would want a review to be posted on Airbnb and with what rating. Leave glorious public reviews. Offer your guests a discount on their next stay, privately, to drive bookings. Use dynamic variables for further personalization. Not all of your guests deserve 5 star reviews. Each reservation’s Auto Review can be edited or aborted before it’s posted to Airbnb or any other supported channel.